Click Here to save this fun pattern to your Ravelry queue and favorites!! To Celebrate my youngest daughter’s 18th Birthday…. 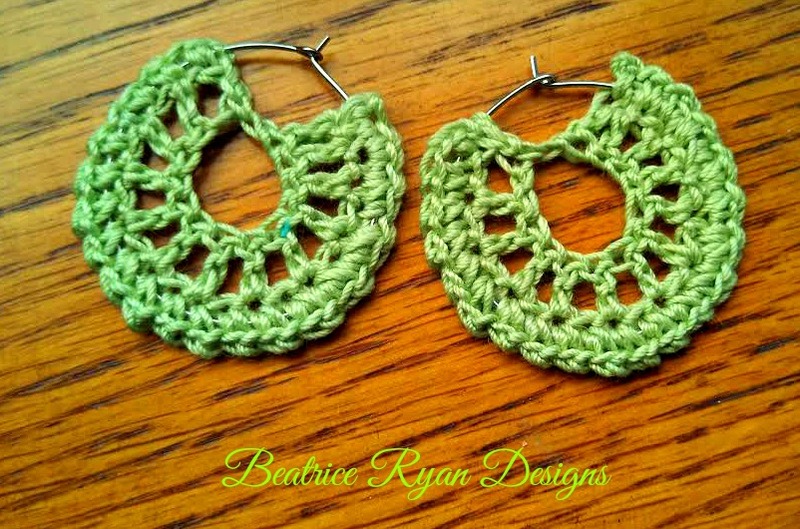 Here is a quick, simple earring pattern just in time for Summer! 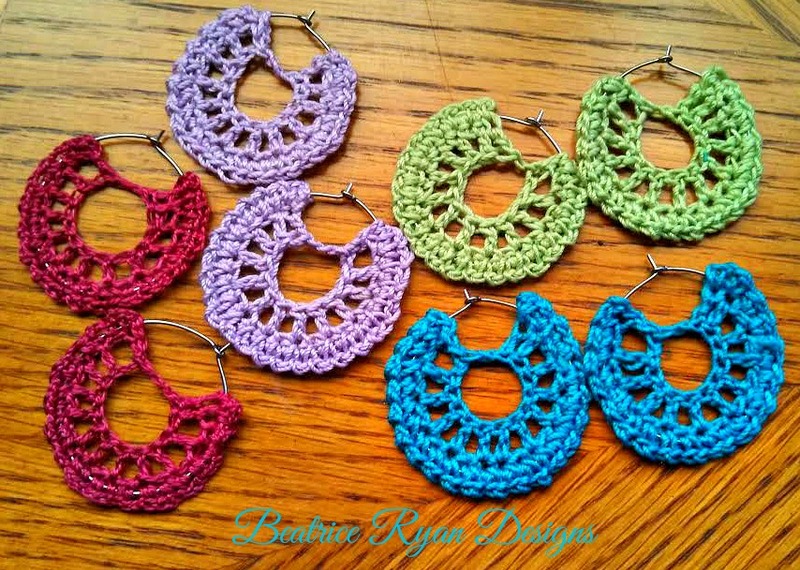 Great to dress up your Summer Outfits or to give as a Gift, these Simple Summertime Crochet Earrings are fun to make and are great to use up your stash of Crochet Thread!! Happy 18th Birthday my sweet Mackenzie!! Join thread with Sl St around hoop. Row 3: Sl St to 1st Dc(Top of Ch 3) on opposite side to join. Sl St across to out side of hoop (approx 2-3 Sl Sts). 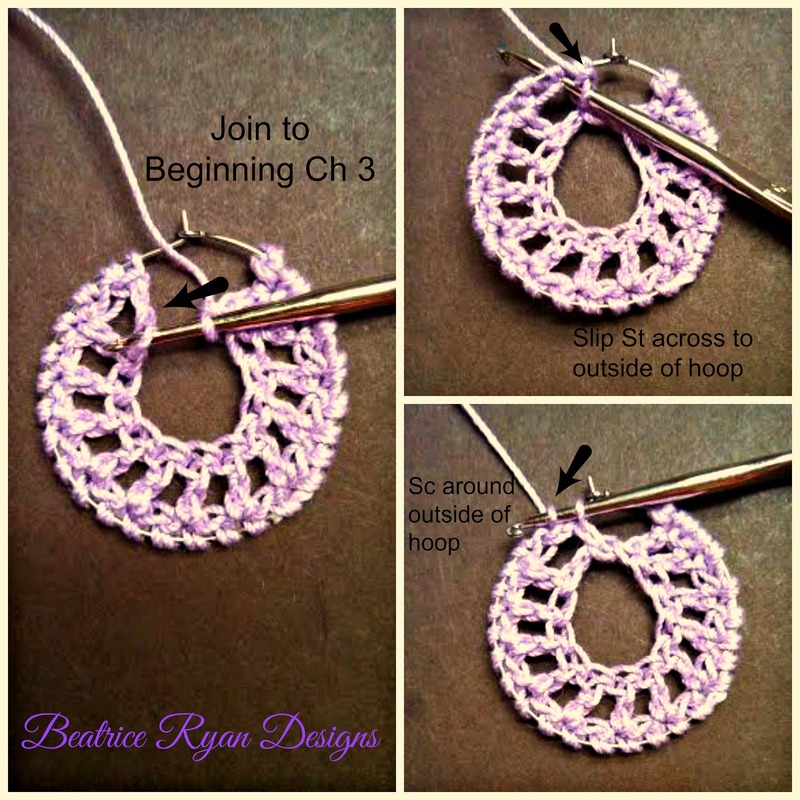 Ch 1, Sc on outside of hoop and in-between each St on the outside of hoop. =25 Sc. Sl st to end. Finish off. Weave tail in. With glue, Pull back the stitches slightly on each side and add a very small amount of the glue… Move the stitches back in place and hold for a minute. 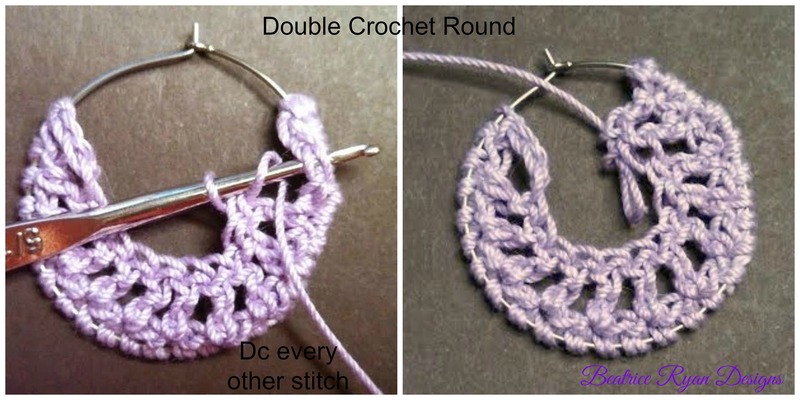 This will secure the crochet into place so it will not slip off of the hoop. Good Morning from PEI: Thank you for sharing this lovely pattern. So much fun! I’d love to try these. Thanks for the pattern. Love these earrings? Any suggestions on where online to buy stainless steel hoops? Thanks Rhondda and thank you for hosting!! Beautiful earrings! Thanks for sharing great tutorial!